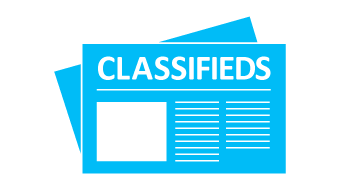 The recent spate of 700+ job announcements to be created in Shannon and Limerick by international companies confirms the upward trajectory of the Mid West. This feature focus by Rose Rushe is the second and final on Limerick’s lucrative road to recovery. There’s more silverware than Liam McCarthy ahead for Limerick city and county. INDUSTRY gods, EU and Ireland budgets and private sector investments align for the rise out of estuary murk. 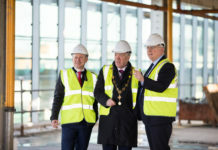 Talking to the Limerick Post, Limerick Council’s director of Economic Development and Planning Pat Daly references the Limerick Charter: Commitment to Cohesion and Convergence, by which all stakeholders honour a common vision. The heads of agreement are met by signatories Shannon Foynes Port Authority, Limerick Chamber, LIT, Council, Shannon Group PLC, UL, MIC and LIT. These are the locally based agents in a multi-stakeholder push forward, spearheaded by foreign direct investment (FDI) brought in with the help of Enterprise Ireland and IDA Ireland’s FDI 2015-2019 strategies. The operating frame in which the Signatories advance is the Limerick Twenty Thirty Strategic Development DAC headed up by David Conway. The total cost of their combined projects is €750mn as confirmed by Conn Murray at Limerick Charter’s launch. Case in point, Shannon Foynes Port has just filed record earnings for a third year, of €6.8mn. Don’t forget the work done with Retail Excellence to reboot city centre footfall. 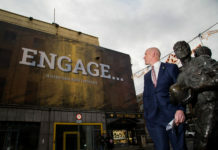 There is a new and needed investment Prospectus being developed, as with the multi-million euro project LUCROC that is set to revitalise O’Connell Street and its arteries. TAKE it that the Mid-West is gaining traction every day. Our attractiveness as urban capital is pulling in the overseas employers – and you don’t have to sell a kidney to buy a house here. We have a leisure, sporting, arts and culture lifestyle to support the flood in demographics. New festivals pop, sports records are set, All-Ireland cups are taken home at the death. 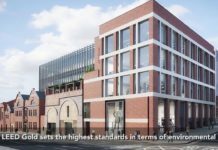 Talk to Limerick’s auctioneers about who is buying up commercial properties, it is the hospitality/ food sector at a ferocious rate. Findlater’s, The Shack, Rift, The Bedford Café, Flanagan’s Townhouse, The Green Onion, The Milk Market Bar, Esquire’s Coffee, The Under Dog are some of those very new to the block. STILL, we need homes to go to. For the €65mn Limerick Council spent acquiring accommodation units over the previous nine years, there are very few new builds by the local authority. Stock is scarce and the city’s physical renaissance demands an upswing in residential and retail sectors to flourish, something our Economic director is keenly aware of. 3,300 jobs and €354 million of investment by FDI (Foreign Direct Investment) and indigenous companies in 2017. Over the last six months, €170m has been secured for the development of the Opera site through the EIB (European Investment Bank) and CEB (Council of Europe Bank) for a project that can accommodate up to 3000 people. 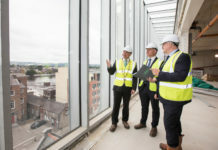 In 2018 to date 1,600 Limerick jobs have been announced by companies including Uber, H&MV, Mazars, Clenn Construction, STATS and Nordic Aviation Capital. May 2018 alone – 8 Significant Business Expansion announcements – 729 jobs (600 in the knowledge/digital economy and the balance in the transport and hospitality sectors). 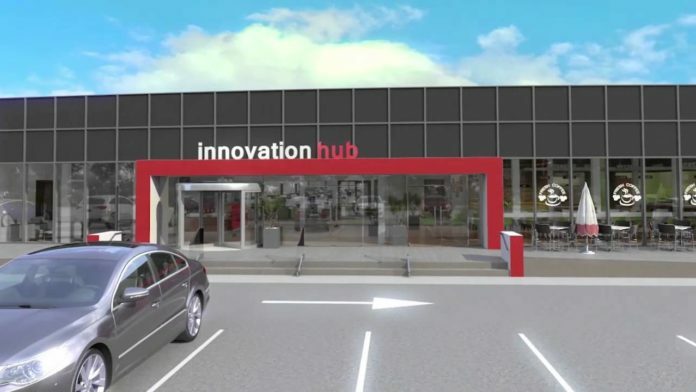 Creation of UL’s Digital District in Castletroy with U Confirm group being based there. €347 million of investment has been announced to date in 2018 by companies including AMCS and Shannon Foynes Port Company and NBC. ENGINE opened to drive innovation forward, by providing individuals and companies with facilities to match their ambitions and needs. Strong indigenous and entrepreneurial sector LEO Limerick helped create 122 net new jobs in Limerick in 2017. 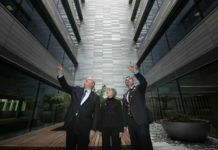 Edwards Lifesciences investing €80mn and 600 jobs. 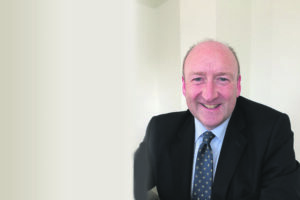 IN THE recent Local Authority Satisfaction Survey commissioned by the National Oversight and Audit Commission, Limerick emerged among other urban centres as having the highest ‘Overall Satisfaction’ rating from respondents, at a solid 69 Per cent. Case per point, Dublin, South Dublin and Galway’s mark averaged 60. Across five key service areas, Limerick Council’s satisfaction levels with the public rose to 73 per cent, again the highest nationally. 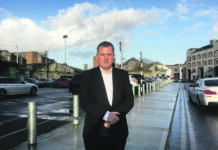 The poll also asked a series of questions around the key ingredients that make an area a good place to live, with 69 per cent of Limerick respondents putting it down to job prospects, wage levels and the cost of living. There’s a silverlining to it all with Limerick has a higher disposable income than the national average at €22,848, second only to Dublin’s at €24,000. Onwards and forwards so for citizens, strategists, investors, innovators and work force in making Limerick great again.